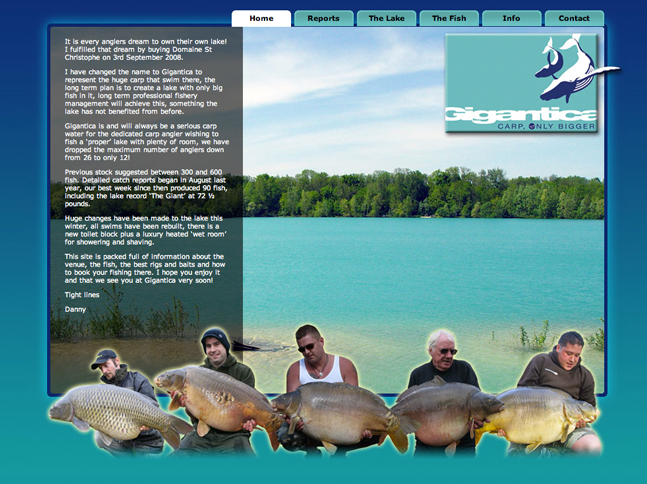 Huge changes were made to the french fishery that Danny Fairbrass purchased, and he needed a website to showcase the amazing facelift it received. We have also developed a back end CMS system – so the client can keep fishery reports and the gallery updated on a weekly basis, without needing to pay any further costs. iAngler used a palette that related to the unique aqua blue colouration of the lake water, whilst keeping it contemporary at the same time. This site is packed full of information about the venue, the massive fish, the best rigs and baits and how to book your fishing there.